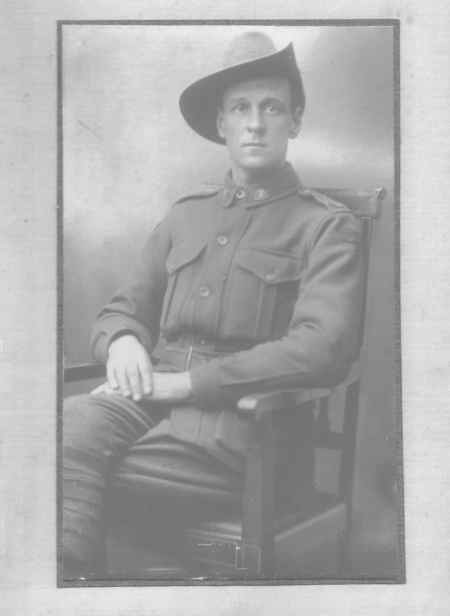 Alfred Booth (Service No 687) was the eldest of three brothers, all living at Corrimal, NSW. He and brother James Edward enlisted on the same day. Alfred was the only one of the three to return to Australia. In 1905 he married Francis Butcher at Corrimal, NSW. At the time of enlistment he was described as a 32 year old miner who was a widower with one dependent son (William Alfred). He embarked on HMAT A19 Afric on 18th October 1914 with F Company, 1st Battalion. After training in Egypt he sailed for Gallipoli and landed on 25th April. He had been promoted to Corporal on 7th April 1915. Alfred survived the early fighting but on 19th August he was wounded in action, receiving gun shot wounds to his legs. He was wounded a second time on 23rd September with bullet wounds to his arms and was evacuated to hospital for treatment. In July 1916 he was returned to Australia and discharged medically unfit on 19th September 1916. On 7th November 1917 he married Gwendoline Lawrence at Corrimal. He married for a third time in 1942. His brothers James Edward (Service No 688) and William Thomas (Service No 341) were both killed at Gallipoli.